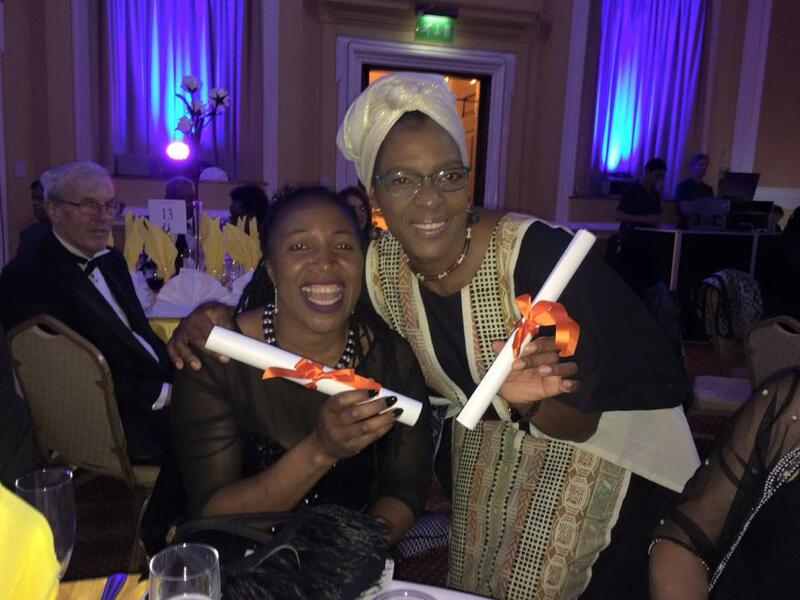 Gilwern resident, Martha Musonza Holman who runs the charity, ‘Love Zimbabwe’ has received a prestigious award backed by the Welsh Assembly. 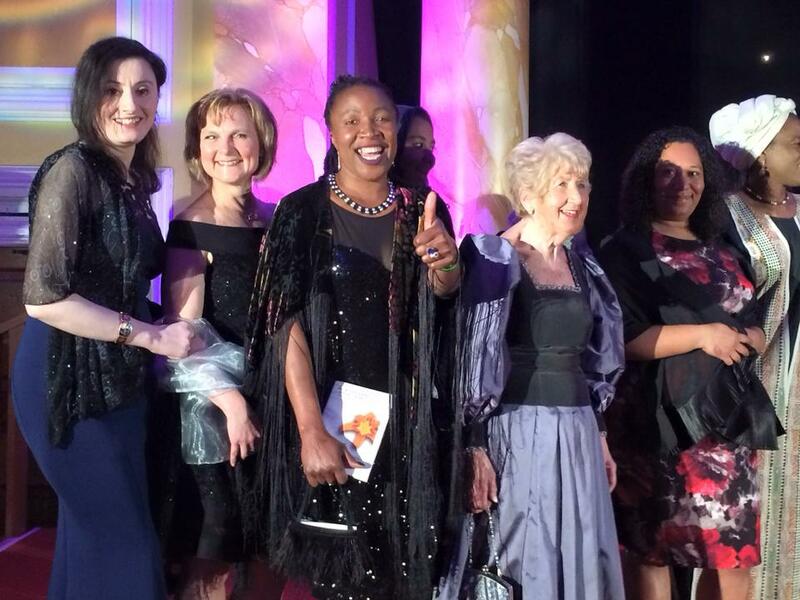 Martha won the award in the social and humanitarian category for women in Wales from ethnic minority backgrounds who have made a significant contribution to Welsh life. The event was organised by ‘The Ethnic Minority Welsh Women Achievement Association’ and was held in The City Hall, Cardiff last Saturday night. In total, 23 candidates were nominated in seven categories, including business and art, culture and sports as well as young achievers, as well as women who had been victims of domestic violence. The evening was ably hosted by Behnaz Akhgar, the well- known weather presenter on BBC Wales. Martha, and husband, David have just returned from their latest trip to Zimbabwe, when they took six students from Lampeter University to work on ongoing projects in the Chinamhora area north east of Harare. The students were obviously impressed with the trip, as three of them attended the awards ceremony in support of Martha. Indeed, it required two tables to accommodate Martha’s entourage! Martha said, ‘I was extremely nervous during the evening, as the awards were given out at the end of the night. It was a long, but worthwhile wait!’ She continued, ‘This award means so much to me. I said in my speech that it was as a result of immersing and integrating myself into the community in Abergavenny and the rest of Wales that I have been able to do what I have done. I have managed to work with the Welsh Assembly, as well as Fairtrade Wales, helping to make Wales a Fairtrade nation. I have also been able to set up a charity registered in Wales, bring up a second family here, and work with the University of Lampeter, taking students to Zimbabwe which is enriching Wales with each trip. I am convinced that this is the way forward to bring diverse communities together and will continue to make this my goal’. Meanwhile, the couple are not standing still! They will be selling their Zimbabwean arts and crafts at the Glastonbury festival in June and also at Usk Food Festival on 1st/2nd July. After that they pay another visit to Zimbabwe for the whole of August to implement more water saving projects and to improve the solar power system at the community centre. On 16th /17th. September they will be selling again at the Abergavenny Food Festival as well as organising a bigger and better ‘March for Africa’ as part of the official fringe. Finally, they are organising the 11th. Wales Fair Trade Fair in Brecon and Abergavenny on 7th/8th October. Perseverance and determination certainly looks like paying off for Martha and Love Zimbabwe.